Cheyenne-based business Go Slo Wyo is not the type of company mentioned in economic diversification plans. It’s not a tech startup, a manufacturer or a traditional Wyoming business in the sense that it has nothing to do with running cattle, raising crops or guiding hunting and fishing trips.  Go Slo Wyo, however, is an example of the type of company these economic development plans enjoy celebrating – stories of success that have the potential to attract, grow and inspire a new generation of Wyoming entrepreneurs. 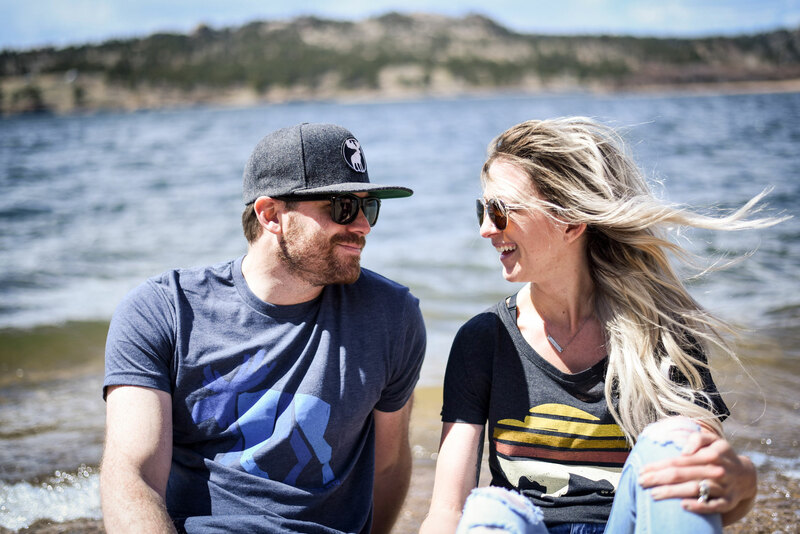 Go Slo Wyo is a premium apparel and accessories brand founded by Bria Hammock and her husband Jason Hammock, with an aim to celebrate their love of the outdoors and everything Wyoming. 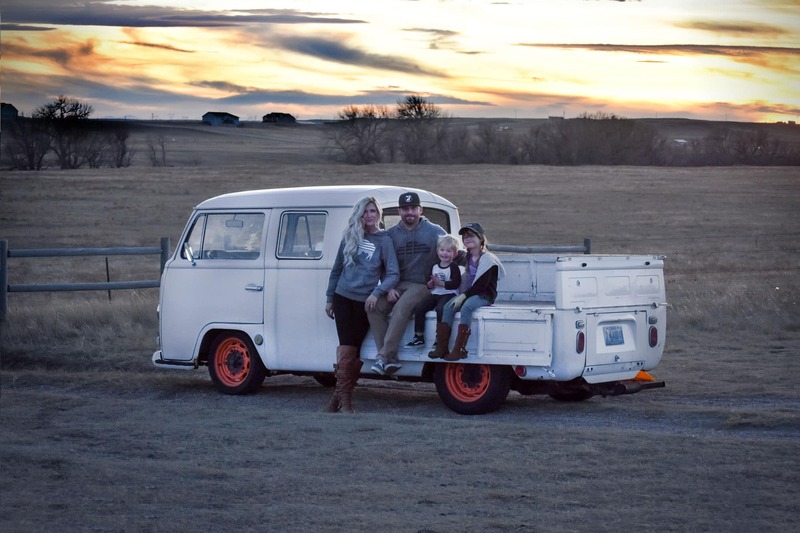 The idea for the company came to them while they were on a road trip across Wyoming in their yellow 1973 Volkswagen Bus. Bria recalled discussing a problem both she and her husband saw with Wyoming-themed apparel – lack of good options for the female market. Inspired by the slow pace of their VW bus and the Wyoming landscape in front of her, Bria began to sketch out her solution to the problem – high quality apparel that looked good and reflected her love of Wyoming, travelling and appreciating the little things in life. Both Bria and Jason took the idea and got to work. Starting off, the Hammocks didn’t have any experience in screen printing, but they both brought skills honed over a combined 20 years in the corporate marketing world – Bria’s experience as a graphic designer and Jason’s skill as a web developer. The Hammocks did everything—marketing, web development and graphic design—in-house while also working their full-time jobs. Over the course of two years, Bria turned her idea into a successful side business that has a thriving online presence and products available in 15 stores across the state. Hammock says it was hard keeping the Go Slo Wyo brand fresh while also growing in—what she calls—an intelligent way where quality doesn’t suffer and she can still balance the needs of her side business with her other responsibilities. Managing those various duties has become quite the balancing act over the last two years since launching Go Slo Wyo, but Bria doesn’t seem to mind so long as she is creating something unique that speaks to her design sensibilities. “At work,” Bria says “all my designs have to be approved by someone else,” but with Go Slo Wyo Bria has her own creative outlet, a project she can call her own. When asked about her model for success, Bria mentioned her mother, Mary Goehring and the medical and legal transcription business she built from the ground up in her native Connecticut. Her mother juggled many responsibilities, Bria says, like balancing the demands of her business while making time to be a present and dedicated parent. Besides time management, entrepreneurship was another trait passed down from mother to daughter. Reflecting on the path that led her to starting her own business, Bria says it makes so much sense that she would be doing it now as an adult because she was “that kid” who had the lemonade stand. The only difference, she says, was back then she and her friend would call neighbors on her land line to promote their pop-up venture. When asked about what the future holds for her company, Bria says she’s focused on keeping the brand fresh with new designs, products and accessories as well as supporting the local businesses who carry her brand across the state. The shop local movement speaks to the power of companies like Go Slo Wyo and others who may not fit the mold of economic engines of growth like tech or manufacturing. In fact, during the signing of a proclamation recognizing the Wyoming Small Business Development Center Network earlier this year, Gov. Matt Mead said “The likelihood that we move a company here with 2,000 employees is very unlikely. For a state like Wyoming with our small population, it is the small businesses and start-ups that are really going to continue to turn the tide in terms of economic diversification.” In terms of quality of life and showcasing the entrepreneurial spirit of Wyoming, Go Slo Wyo is bringing that message, however slowly, to communities across the Cowboy State one design at a time.